We can now offer you Flexiteek 2G in our assortment. Flexiteek 2G is the second generation of Flexiteek. Flexiteek is a synthetic teak panel and it is made of composite materials, it is also 100% recyclable. Flexiteek does not require sealing or difficult ongoing maintenance. Excellent non-slip surface. 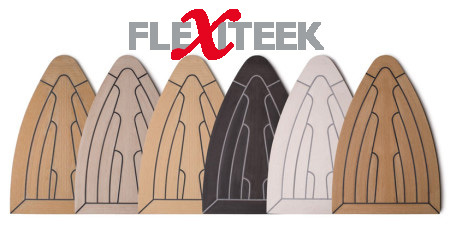 Wet or dry, Flexiteek provides amazing grip in the toughest conditions. Flexiteek does not turn grey or fade. Stain resistant, soap and water will remove most spills easy (oil, fuel, red wine, fish blood etc). UV tested and proven UV resistant. Reduces sound and noise up to 11 db. Low combustibility (Flammability tested to AS/NZ 53837). Flexiteek comes with a 5 year material guarantee. All Flexiteek products are recyclable.